Oral growths aren’t always necessarily malignant, but they can still get in the way. Whether you want to have them removed for aesthetic purposes or to enjoy better comfort and oral health, your dentist can use a special kind of laser dentistry to deal with them. Read ahead if you might be interested in removing oral growths with Waterlase dentistry. Your dentist can improve your oral health and leave you with a smile you enjoy thanks to Waterlase dentistry. Oral growths are not always problematic, but people typically like to get rid of them anyway. Even the skin that remains over a tooth that hasn’t yet erupted is technically an oral growth that you can remove with your dentist’s help. This precise treatment method can also prevent gum recession as well as deal with papilla and fibromas, so ask your oral health professional if it’s right for you. Do you have oral growths that you would like to have removed? Contact Glenwood Premier Dental or visit our website. 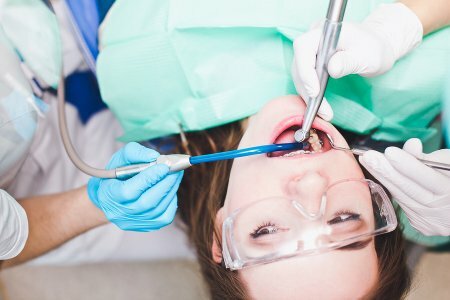 Our dentists serving Hazlet are fully trained and capable of using Waterlase laser dentistry to remove oral growths and treat other complications . Stop in and see us or call us at (732) 264-4477 today.